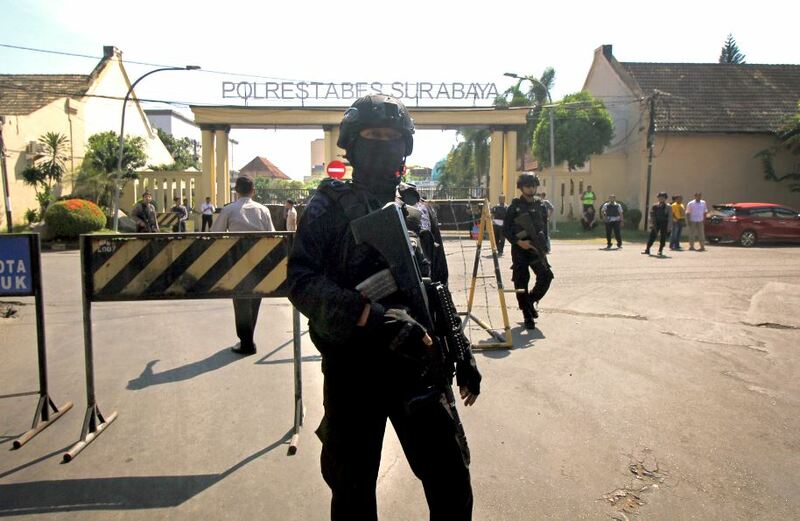 At least four children belonging to two of the three families behind the string of bombings in Surabaya and Sidoarjo, East Java, on Sunday and Monday, became orphans after their parents were killed in the explosions. In the blast at the Wonocolo low-cost apartments in Sidoarjo, AR and two of his younger siblings, FS, aged 11, and GA, aged 10, lost their father Anton Ferdiantono, mother Puspitasari and eldest brother HR, aged 17, after they mishandled highly sensitive explosive triacetone triperoxide (TATP) and triggered an explosion and instantly claimed the lives of Puspitasari and HR. Anton died after police officers gunned him down to prevent him from triggering another bomb. Another child orphaned is Ais, aged 8, who is the daughter of alleged suicide bomber Tri Murtiono, aged 50. Tri, his wife Tri Ernawati, aged 43, and their other sons, MDA, aged 16, and MDS, aged 14, died instantly in the motorcycle bombing at the Surabaya Police Headquarters. Luckily, Ais survived the blast and was saved by a police officer who happened to be close to the blast site. She was rushed to the nearest hospital to receive treatment. Local media reported that National Police chief Gen. Tito Karnavian saw the Sidoarjo bombing orphans on Monday. Tito said it was the first time that terrorists in Indonesia had taken along children in their suicide bombings. East Java Police have reportedly asked for a helping hand from several psychiatrists to assist the orphaned children in dealing with their psychological trauma.